Project Management Office Hours brings together leaders in the Project Management industry to discuss current trends, topics, and lessons learned. Whether you are an aspiring Project Manager or Director of a PMO, we have you covered with in-depth discussions from experts in the industry. 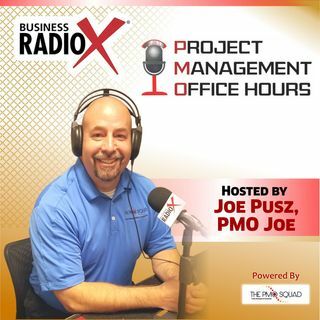 Hosted by Joe Pusz, PMO Joe a long-time Project Management Advocate and CEO & Founder of THE PMO SQUAD. PMO Joe chats with Dr Harold Kerzner from the International Institute for Learning and Belinda Goodrich from PM Learning Solutions.